I was hopeful that this would be the year that I could shift my workflow to the iPad Pro, but once again, there is nothing on Apple's tablet line that is able to usurp my Mac. Let's talk about why. Over the years, iPad has significantly improved both in hardware, as well as with iOS. It has improved enough that I've adopted iPad as my primary device for most use cases, spending more time utilizing it than both my iPhone and my Mac in both my professional life, as well as my personal life. When Apple announced this year's batch of iPad Pros, I sat back, brimming with anticipation. Apple showed off a wealth of new functionality including connecting to external 5K displays, using USB-C to connect directly to a professional camera, no-compromises Photoshop, and of course the upgraded Apple Pencil. There's very little iPad can't do that I need it to. But, despite all of iPad's newfound capabilities, I knew it still wasn't going to replace my MacBook Pro. At least not yet. If you haven't spotted the glaring hole in my iPad workflow, iPad's biggest limitation for me, is video. That's not to say iPad doesn't have some video capabilities. There are several quite capable iPad-specific video editing applications I've used from time-to-time. Even so, they are no replacement for Final Cut Pro X, where all my AppleInsider and other professional videos pass through. It's also going to take much more than just FCPX to appear on iPad for me to be able to actually utilize iPad Pro as my actual device. The interface alone would be extremely cumbersome on iOS. To go with FCPX and mouse support, I would also need external storage support. I've terabytes of storage occupied by hundreds if not thousands of videos over the years and their backups. There would simply be no way for me to utilize onboard local storage for all my video production. I could perhaps suffice while on the road, but to ditch my Mac, I need to be able to connect more external storage. All that said, it isn't as if the iPad is incapable of doing what I need it to do. The benchmarks for the new 2018 iPad Pros are outstanding, easily besting my late-2016 MacBook Pro. Running the test a few times myself, my Mac pulls 15696 on the multi-core test. The new iPad Pros on the other hand, are able to clock 17995. A pretty substantial gain. Of course, Geekbench isn't the be-all-end-all measurement of real-world performance and doesn't always represent any given workflow with 100-percent accuracy. That's why we can take a look at real 4K export times to get an even clearer picture. Laptop Mag did just that and the results were insane. 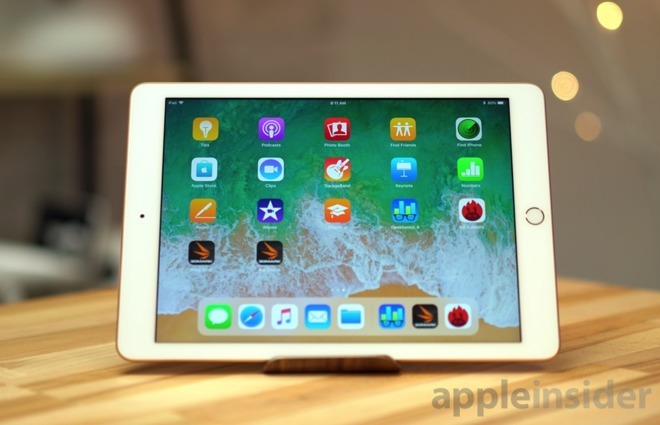 Apple's 12.9-inch iPad Pro exported a 12-minute 4K video in 7:47, almost one-fourth of the 25:53 that the 13-inch MacBook Pro squandered on the task. That leaves me confident in the iPad's power, and also confident that it just needs to be able to take advantage of that power. 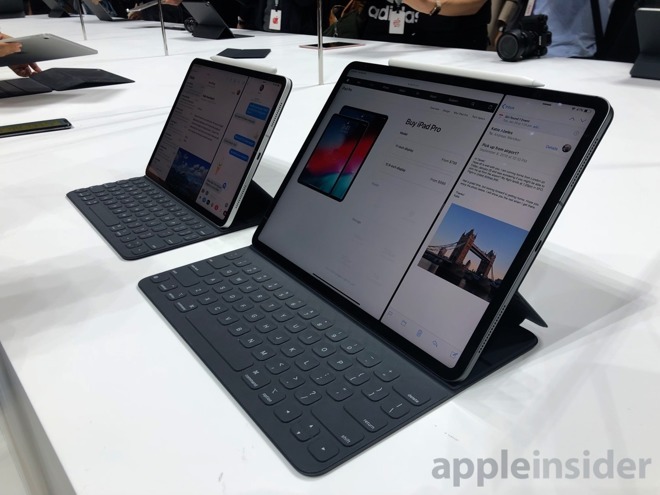 This year's iPad Pro's got a redesign, so instead of just picking up an iPad, I also am going to be picking up a new Apple Pencil and a new Smart Keyboard, pushing my cost of ownership well over a grand. At the same time, I can't ditch my Mac. I can't even opt for a cheap Mac like the new Air or the Retina MacBook because I need some power to handle those 4K videos. I wouldn't leave the Mac behind completely, it still runs as a home server amongst other things, but I wouldn't need the high-end model I need now. Assuming everything isn't all about me, if we take a step back and look at the bigger picture it's clear the iPad should to be more people's primary device. Luckily, I've never felt better about the future of iPad. We see some early signs of that with iOS 11 and 12. They gained several new productivity features for pro users. Multitasking —while not nearly as robust as it is on a Mac —got improved. Between split view, slide over, and PiP, I'm able to run many apps simultaneously. Especially fruitful for me, photo/video import got overhauled that has made a huge impact on how I process images on my tablet. Here's hoping that iOS 13 takes us that last step forward towards making the iPad Pro a full computer replacement. I'll be patiently waiting.